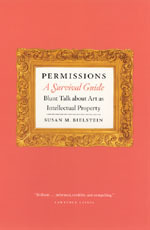 Jennifer Howard writes an article in the August 4, 2006, issue of Chronicle of Higher Education profiling Susan M. Bielstein and her recently published book, Permissions, A Survival Guide. Props to Joy of NEWSgrist, who blogged Bielstein and her book last June as part of the NYU Comedies of Fair U$e conference; read an excerpt of the book here. 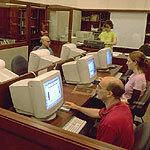 Access to the online version of the Chronicle is by login and password. Museum staff can read it with the intercession of a reference librarian. Everyone else is up to their own devices. If scholarly publishing had an endangered-species list, the art monograph would be at the top. At least that's the perception of many art historians as they struggle to publish their work. 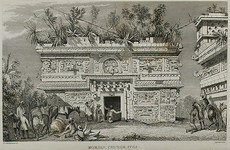 "Between dwindling sales and the soaring costs of acquiring illustrations and the permission to publish them, this segment of the publishing industry has become so severely compromised that the art monograph is now seriously endangered and could very well outpace the silvery minnow in its rush to extinction," writes Susan M. Bielstein in a recent call to arms, Permissions, A Survival Guide: Blunt Talk About Art as Intellectual Property, published this spring by the University of Chicago Press. This was no doubt the impetus for Christopher Lyon's musings in Art in America.